August 18, 2018 starting in our studio at 9AM. Class features one of O’ahu’s most beautiful models (model subject to change based on availability)! Minimum of 3 students required. 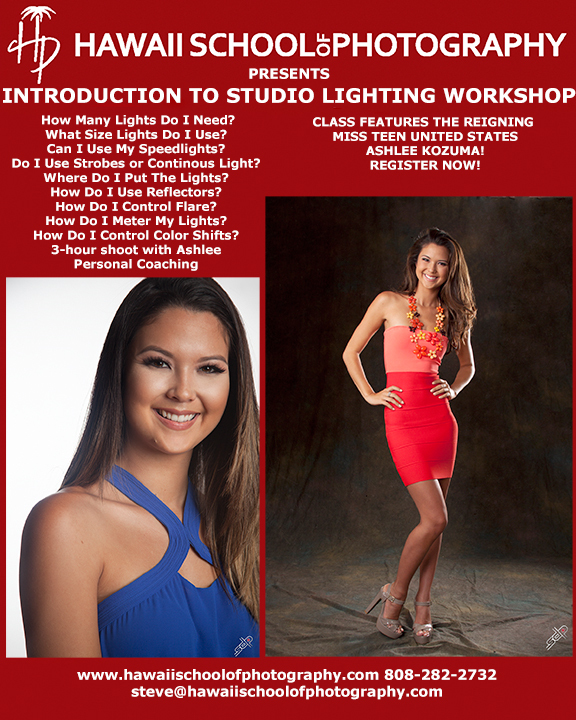 Hawaii School of Photography offers one specialty lighting workshop every month. Lighting classes are intense 8-9 hour workshops that include 5 hours of small group instruction followed by a hands-on 3-hour shoot with one of O'ahu's top models.